Your Agora is the most flexible, intuitive platform for English language schools. Simplify school management, make teaching easier, and increase student engagement. Empowered teachers. Motivated students. Informed management. Our team knows the demands of running a school, and we’re here to make your journey more efficient and satisfying, and help your institution reach its maximum potential. Make your school more competitive and profitable with a comprehensive online solution, customized to your needs. Intuitive features delight and empower your teachers, making their workflow more enjoyable and efficient. Customized content and interactive assignments improve student engagement, leading to happy customers and increased retention rates. Real-time, high-level reporting of actionable insights give administrators the tools they need for a thriving school, productive teachers, and engaged learners. Your Agora gives my business a competitive advantage with class management and content creation tools that make teachers’ jobs easier and more interesting. With Your Agora, my students receive custom content tailored to their needs. I enjoy using Your Agora! It helps me stay more organized and work smarter, not harder. Your Agora helps me organize my lessons. It saves me a lot of time, so I can focus more on students’ progress as they are always able to access the tasks whenever they have a minute for that. Every school has unique needs, and our dedicated team will assist you in creating a tailored plan just for your institution. 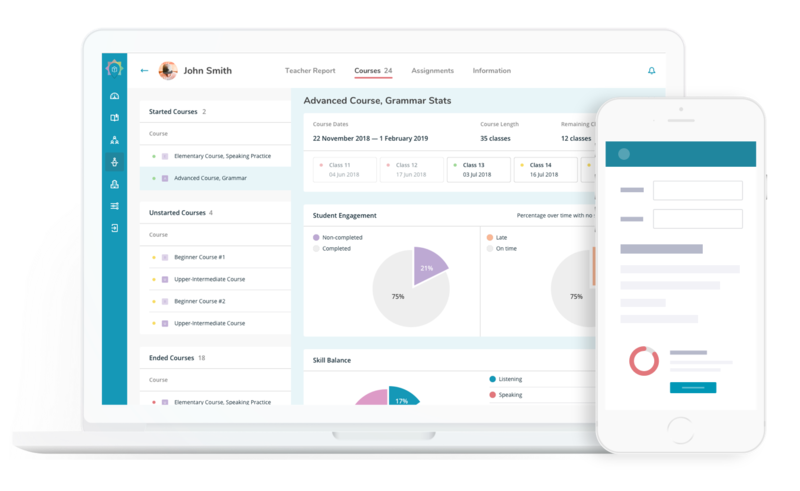 Your Agora provides comprehensive reporting tools so you’ll have real-time access into school performance and progress. Our experts will work with you to provide recommendations to support user engagement, create custom content, increase your bottom line and more.